-stubborn and complete intolerance of any creed, belief, or opinion that differs from one's own. -the actions, beliefs, prejudices, etc., of a bigot. 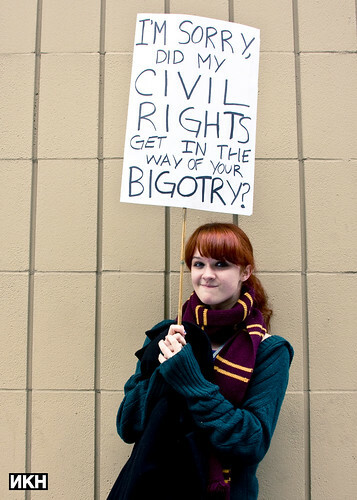 "Keep Your Bigotry Out Of Our Constitution"